TPMS is part of the VOSA MOT test for all newly registered cars from the 1st of January 2012. Cars with faulty TPMS will fail their MOT from 1 Jan 2015. TPMS – Tyre Pressure Monitoring System is an electronic system designed to monitor the pressure inside your tyre. TPMS fitted to your vehicle improves your safety as the system checks tyre pressure every few seconds reducing your chance of a blow out or accident related to tyre pressure, and also helps save you time as there’s no need to carry out manual pressure checks. TPMS can also save you money as having the correct tyre pressure maximises tyre life and also helps improve fuel efficiency thereby saving fuel and reducing CO2 emissions. 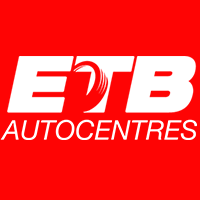 From time to time, you may need your TPMS system servicing or require one of the tyre sensors replacing please feel free to give our expert staff a call to discuss.